It’s Beauty Inside Us’ 1 year anniversary! It has been such an incredible year so I had to celebrate with the people who have supported me from the beginning… my trio. 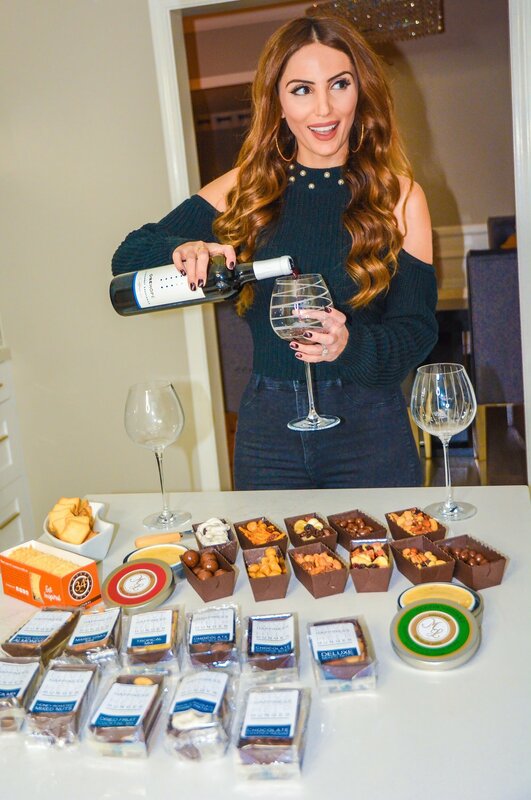 Our celebrations need only a few things… wine, snacks, and music -- Alexa, play Backstreet Boys. 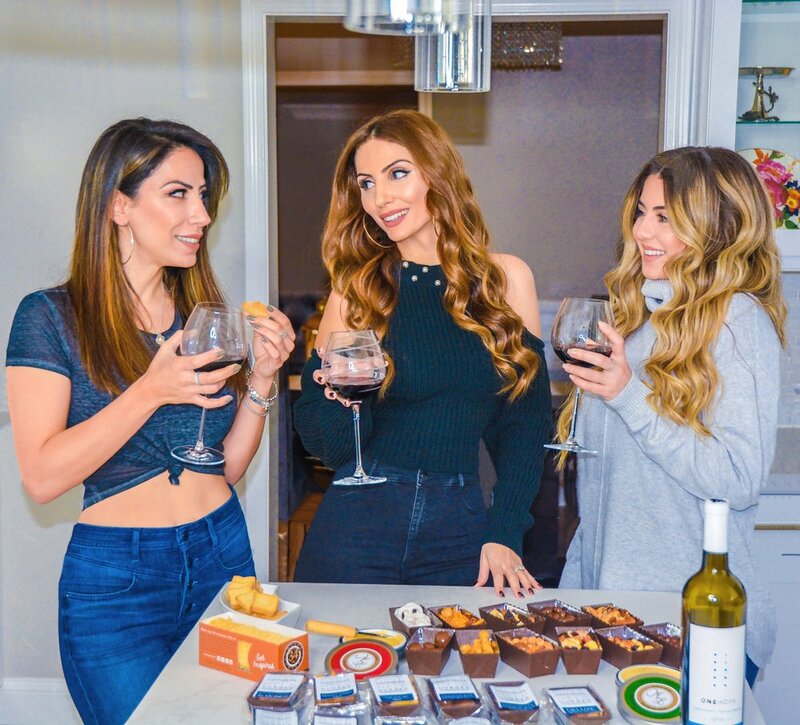 To make the celebration perfect, I busted out my That’s Caring gift boxes and we feasted on all the sweet and salty snacks our hearts desired. The delicious wine, cheeses, crackers, and snacks had my girls tipsy, impressed, and wanting a box of their own. That’s Caring is a great way to show someone you appreciate them just because and so perfect for Valentine’s Day. There are a variety of boxes to choose from and each box comes with good quality snacks. We loved everything we tried. The Bakery Gifts have cookies, muffins, hot chocolate, and tea, and the baked goods all come from a local baker. There goes my New Year’s Resolution!! The Sweet and Snacks varieties have various nuts, small chocolates, and even dried fruit. I’m still snacking on these as I write this and highly recommend the toffee almonds… so good. Total nerd moment, but one of my favorite things about the That’s Caring gift boxes is the trays the snacks come in are totally cute and make for a good presentation. You don’t have to take out dishes to display everything and have no dishes to wash at the end of the day… YAY! Then of course, one of my personal favorites, the Wine and Cheese gifts. 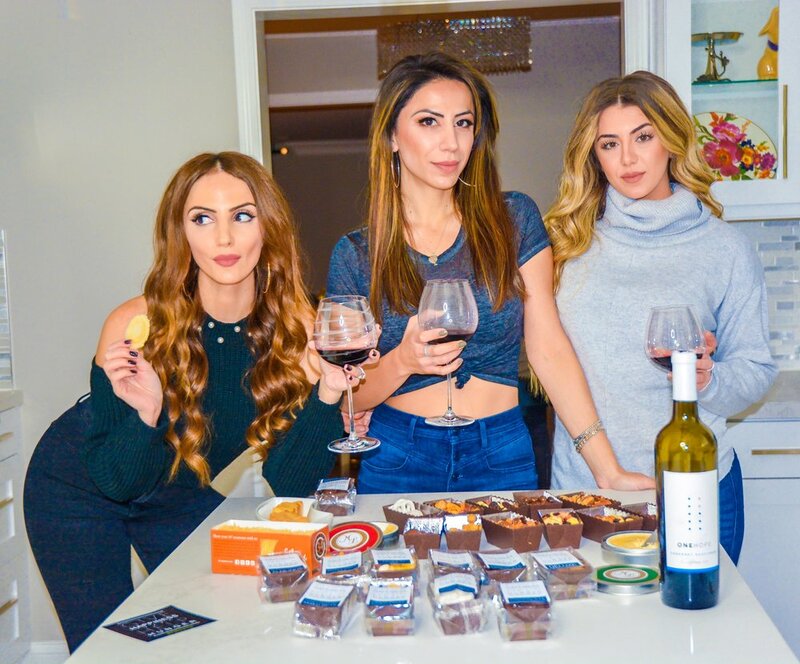 The OneHope wine that comes with the wine gift box works really well with everything in the box, although it is totally up to you what type of wine comes with the box. I love having options when sending a gift box… and side note, these chocolate covered raisins are really making me happy right now. The best part of sending a That’s Caring gift box is not only the recipient is going to be pleasantly surprised and super excited about all of their new goodies, but also with every gift box purchased, That’s Caring distributes a weekend food bag to a child outside of the National School Lunch Program to ensure they are fed 7 days a week. This is HUGE! The team at That’s Caring made it their mission to help solve childhood hunger in the US. So far, That’s Caring has provided over 71,000 meals to children across the country. They work with Feeding America food banks across the US to support their weekend bag programs. The meals are distributed discretely to the children in order to avoid drawing attention to a child’s delicate home situation. A great amount of care goes into the gift boxes themselves, but a lot of passion goes into the That's Caring mission. That’s Caring boxes beat the old school gift baskets where you don’t really know what you’re getting. You can pick and choose the type of items you want, and everything is packaged beautifully in the signature That’s Caring gift box. Different flavors for different people, all at various price points. It’s a win-win situation all around. And speaking of winning, head over to my Instagram to enter to win your very own That’s Caring gift box of your choice! Get updates on my blogs.